Birthday Card. Greeting Card. Beach Quote. Vintage Photo. 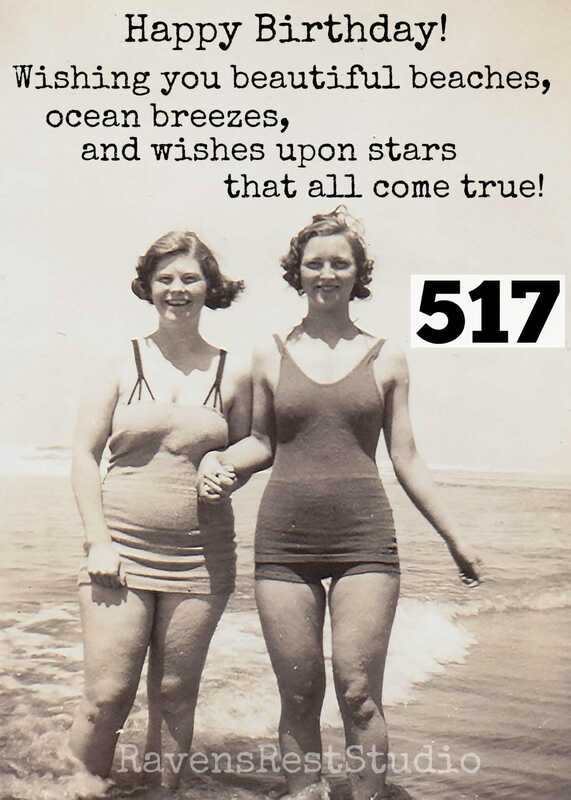 Beautiful Beaches, Ocean Breezes, Wishes Upon Stars... Card #517. 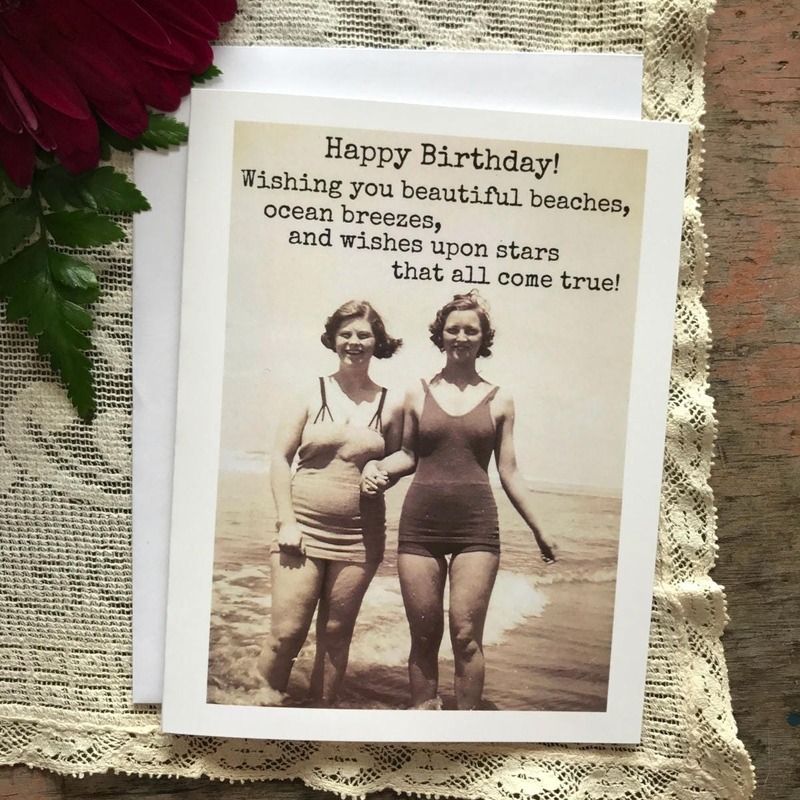 This card features a vintage pair of friends at the beach and reads: "Happy Birthday! Wishing you beautiful beaches, ocean breezes, and wishes upon stars that all come true! ".